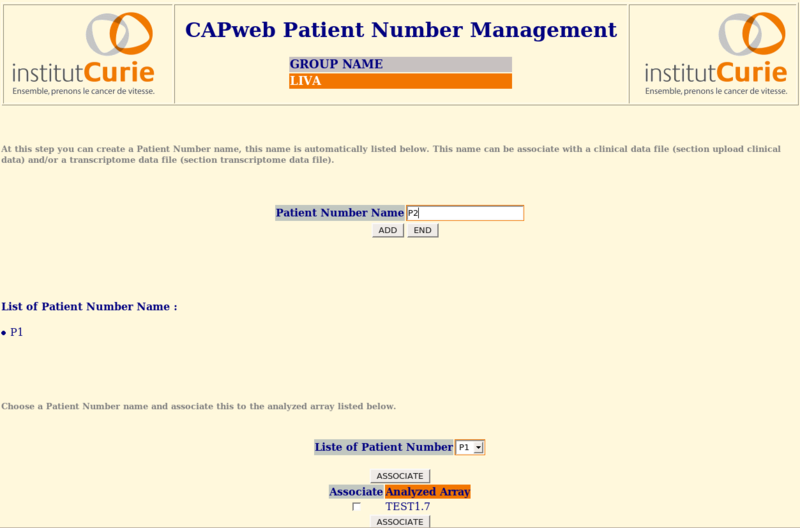 CAPweb is a user-friendly interface to store, analyze and visualize CGH-array data . CAPweb starts after image analysis (a gpr file for example) and goes up to the biological results. Different input format are supported ("MAIA", "GENEPIX", "SPOT","IMAGENE"). STEP 1 : Upload in a secure mode the results of CGH-array image analysis and the annotation of the clone/probes from the array. STEP 2 : Automatic normalization of the data. CAPweb uses the MANOR package, an algorithm based on a spatial trend computation by two dimensional LOESS and unsupervised classification with spatial contraint. 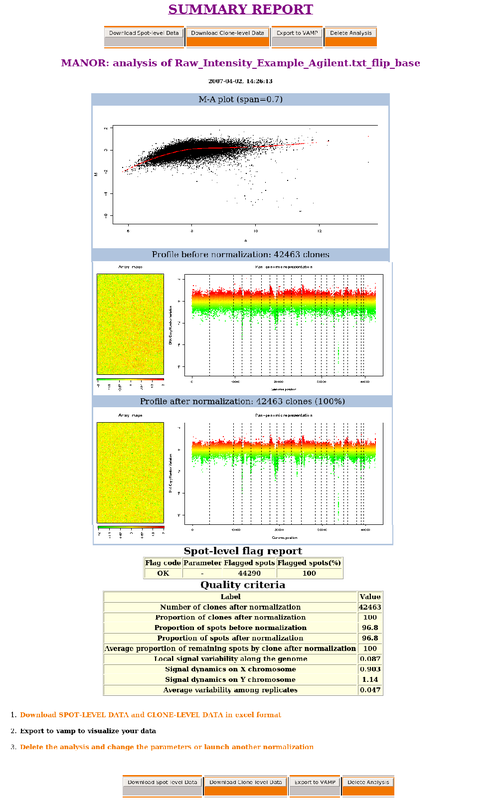 STEP 3 : Breakpoint detection and status assignment (gain/loss/normal/amplicon) using the GLAD package. STEP 4 : a summary report of these results is proposed to the user for validation, further analysis or discarding of the analysis. STEP 5 : Integration into VAMP, a graphical interface for Visualisation and Analysis of CGH arrays, transcriptome and other Molecular Profiles. 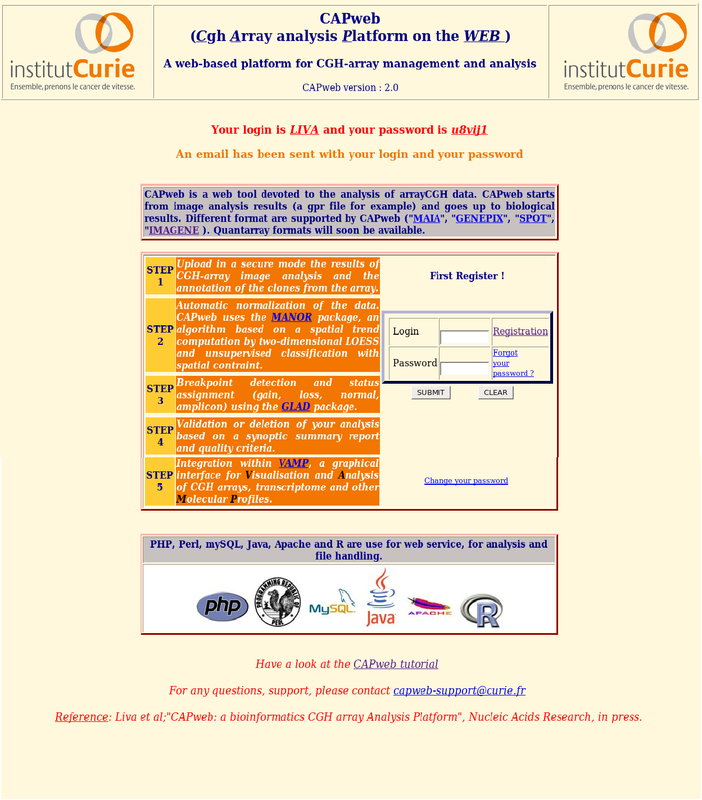 The user fills the registration form in and receives an email with the login and the password. 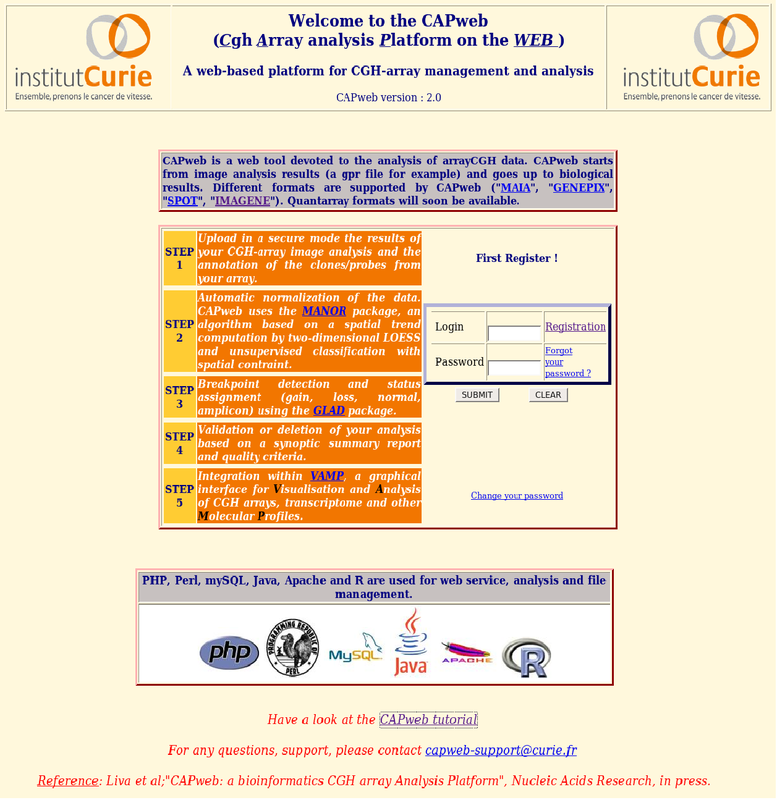 The login and password are display in the home page. The user can create one or more project by giving a name. At this step the user can upload his own files. 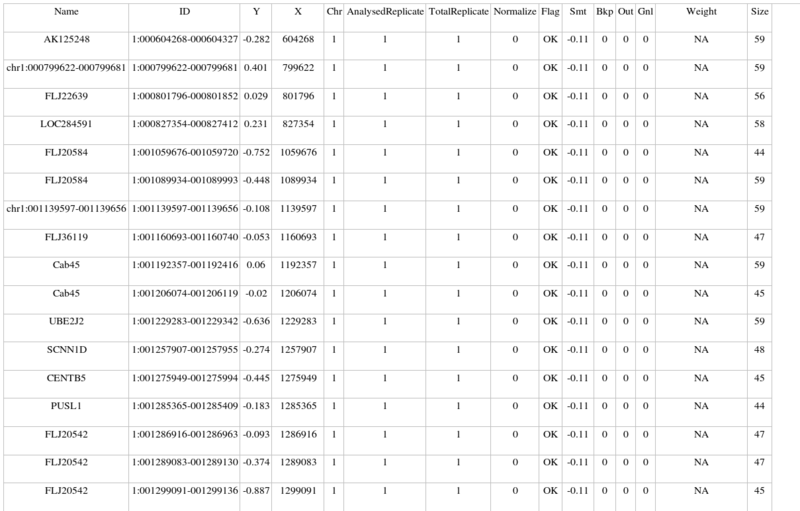 The user uploads the result of CGH-array image analysis files (here agilent format). 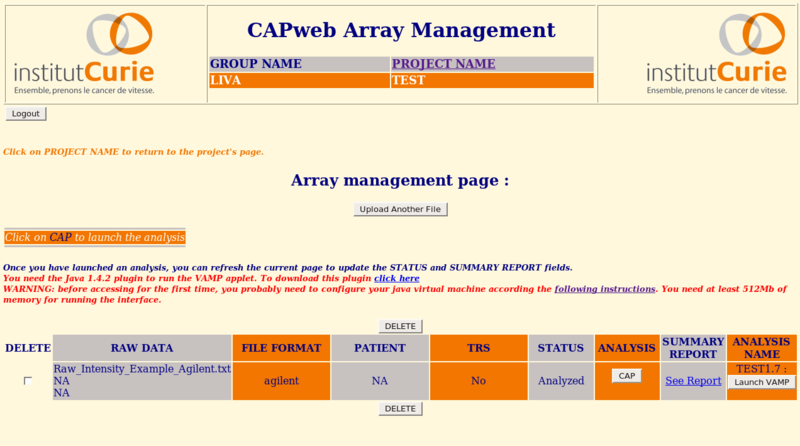 The user can download the demo file to see the CAPweb pipeline. 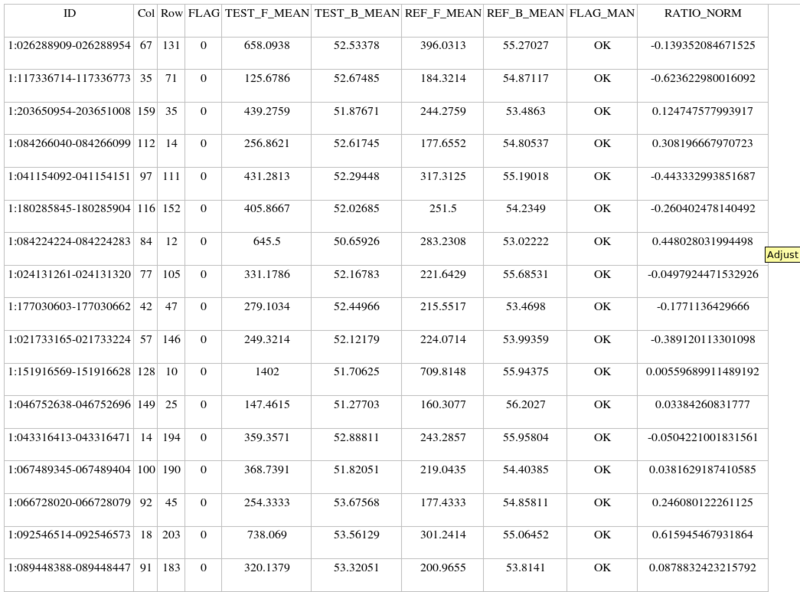 There is also an image of expected raw data file. The user can upload other files or come back to the project home page. When the user clicks on CAP, a new window opens to start the analysis. The CAPweb chip page is always open. Exclude unique spot => exclude or keep spots with no replicates. Dye swap => Flip = the reference is Cy3; Flop = the reference is Cy5. 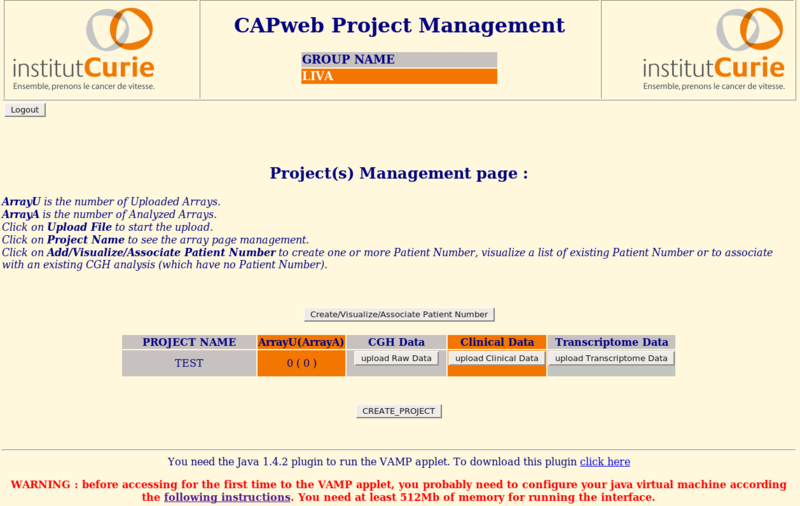 The user may check or change the parameters before launching the CAPweb pipeline. When the analysis is running, the user may upload another file or launch another analysis. If the user accidently closes the analysis window before the end, normalization and breakpoints detection keep working in background. There is no need to restart the analysis. 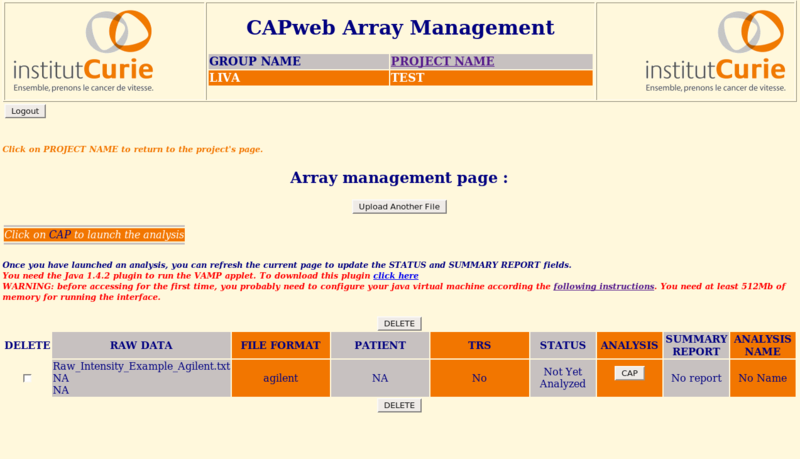 Once the analysis will be completed, the corresponding summary report will appear on the CAPweb array page. The summary report is a crucial step in the CAPweb pipeline. The user decides to keep or to discard the analysis. The user can also export the raw data and the analysed data. The export spot-level data format is the excel format. The export clone-level data format is the excel format. The user can delete the analysis and can restart the same analysis with other parameters. 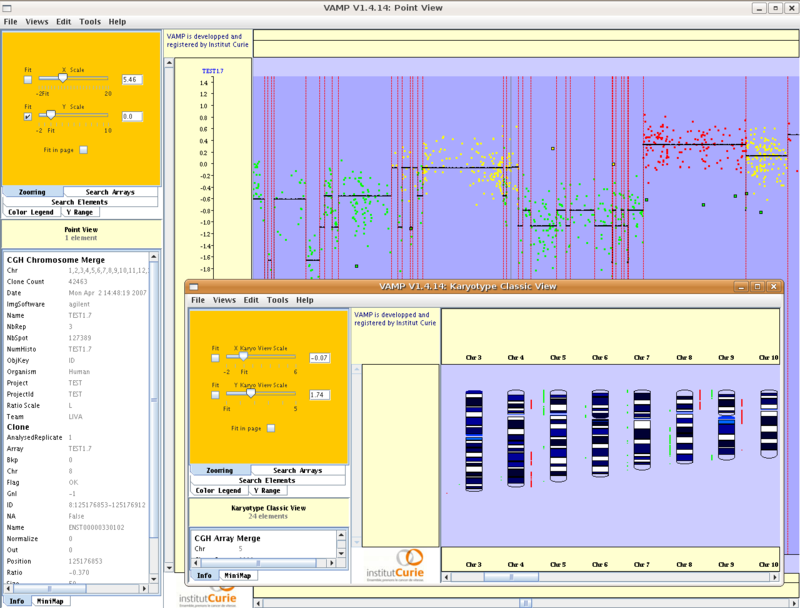 The user can integrate the analysis in the VAMP software. VAMP requires the Java 1.4.2 plugin. 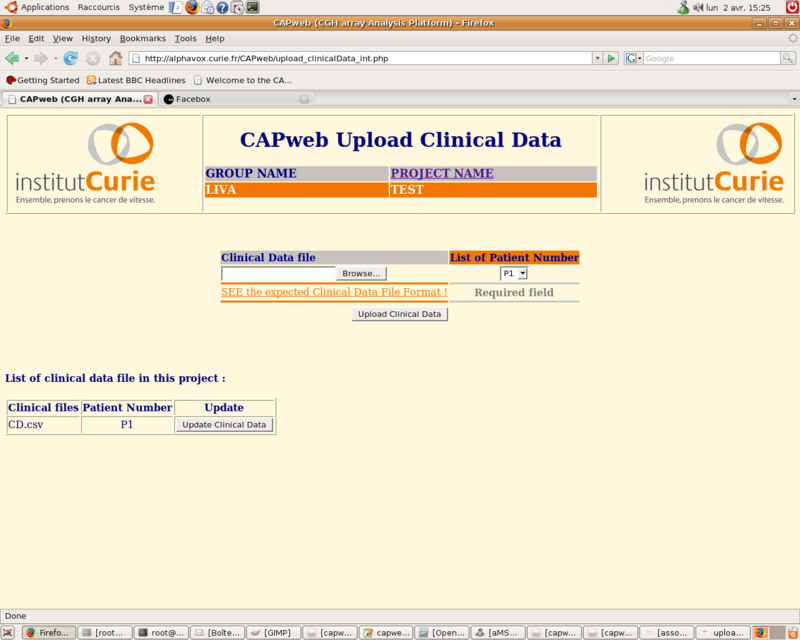 There is also an image of expected clinical data file. 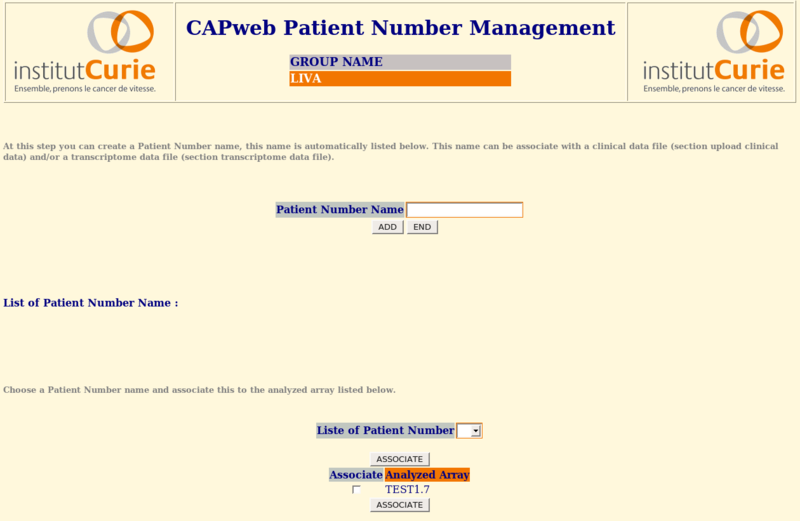 The use can modify directly the clinical data file (update button). 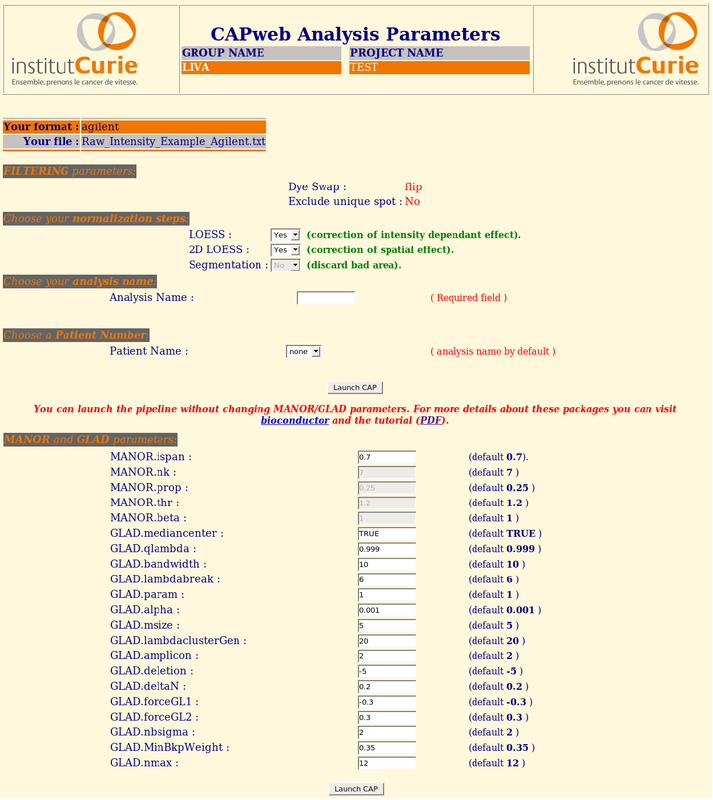 There is also an image of expected transcriptome data file.